Another tray that I found at the thrift store in perfect condition. This one shows the Canadian Pavillion at Expo 67 which was held in Montreal, Quebec. 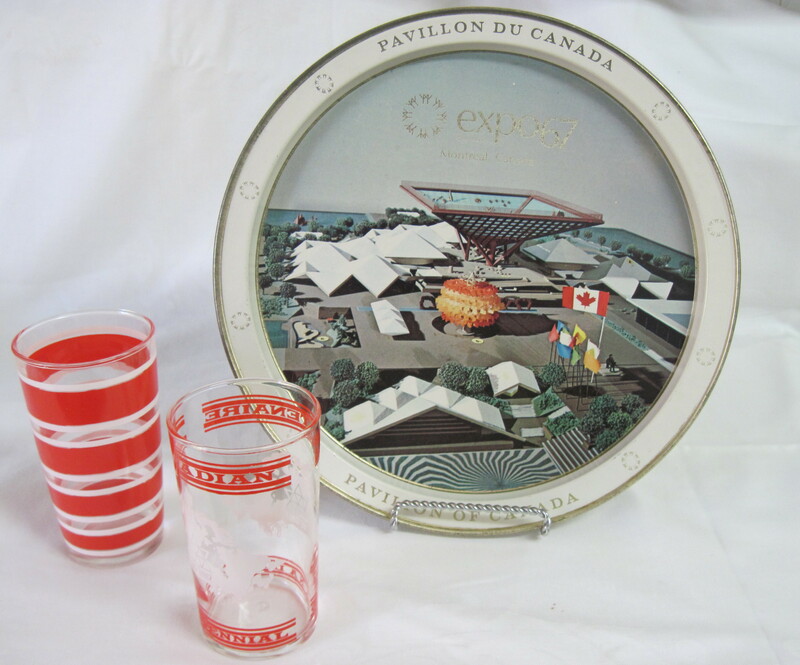 I attended Expo 67 when I was in high school and remember the Canadian Pavillion well. Please note: these items are now SOLD!